The Royal Ballet School ⁄ Latest news ⁄ Latest news ⁄ Ballet competition culture: are we putting young dancers at risk? Compelling and eloquently expressed. You mentioned the psychological impacts as well as of course the physical, but there are also the social affects. We notice a difference not just in the kids, but also in the parents/families of these kids. An elevated degree of consideration for how their child “compares” and unrelenting “hyper-competitiveness”. At one school that my son was at where no one participated in competitions (past or present), the kids and their parents were very friendly and the kids got along fabulously whereas we’ve found that isn’t always the case at schools with lots of former competition kids, whether the school supported competitions or not. In other words, some of the competition kids and their families had trouble returning to normal after leaving the competition world. I completely agree with Mr Powney’s article and now hope he will apply those principles in the training of students at his school and in recruitment to the school. Wonderful article and I completely agree. A dancer should also experience life as part of their developmental training. Guiding them in classes with physical exercises and artistic work, speaking of history and also of how technique has evolved through the years. Dancers should be encouraged to look at all art while training in ballet classes, and to most importantly keep the joy in movement. But you gave a scholarship to your Upper School (for 16-19 year olds) to a 14 year old girl, now 15, whose public Instagram is an example of everything you are saying here is inappropriate or extreme. I still do not understand how you are doing one thing and saying something almost completely different. Hi Anna, thanks for taking the time to read and comment. Through the article Christopher Powney is hoping to raise awareness of the risks competition culture can pose for young dancers and he is calling for a change in the wider industry. The Royal Ballet School recruits dancers based solely on their potential to excel at the School and does not seek to penalise talented individuals for their training to date. As the mum of a daughter who never competed before the age of 16, I agree completely with all you have said. She retains her love of dance, is training professionally now, and has beautiful lines and finishes and now competes, but collaboratively with others on her team. She is hard-working, a rounded and passionate performer who gains joy from every day she learns. I’m so glad I was not keen for her to follow dance as a career path as it means she is making her way at her pace, for her pleasure, education and satisfaction and not for mine! Ignorance in this case has led to bliss! Nicely put Christopher Powney, personally I’ve never understood how Picasso could have competed with Dali, as I see all dancers as artists I’ve always felt putting artists in any sort of competitive environment inevitably achieves more harm than good to our industry. First and foremost it puts off anybody who isn’t competitive and that can’t be good. Some of the greatest dance artists I’ve ever had the pleasure of sharing the stage with did not have competitive personalities, more a genuine joy of dance. Actually the Prix de Lausanne has lowered the age to 14 and not 15 as stated in the article. The USA IBC and the MOSCOW IBC are also 14. Varna and Helsinki are 15. The Prix de Lausanne has brought the age back up to 15 years old for the next competition in February 2019. It was 14.5 years old in 2018 but abandoned as not constructive towards the candidates. This is fantastic and much needed advice. It’s so difficult for mothers to question the professionals that we pay train our children. Can you please share your expertise on oversplits? Is there a safe way to do them? Are they necessary? Should we wait until a certain age? “That audience should be looking for an expressive dancer trying to communicate emotion, dynamics, musicality, storytelling ability, alongside an accomplished, clean technique relative to their age. Isn’t this what the art-form is truly about?” The adjudicators need to be better too. We just competed where an adjudicator said “I just went with what I liked”…that is a statement from an incompetent adjudicator, and there’s many. So instead of looking for solid technique & artistry (that they have no idea about anyway) they go for the show! Another issue I have noticed is the amount of pre-pubescent, anorexic looking girls being chosen over artistry, musicality and technique. Why? You think because they’re skinny and undeveloped that the other skills will just magically happen? We should NOT be encouraging underweight girls or indeed dancers in companies who have to lose weight to become Principals. This sounds very positive for child development and support. Except it comes from a man at the head of a school which brags on Instagram that it will be recruiting students from “selected international competitions”, and who himself spends considerable time on competition judging panels. I don’t understand. My daughter loves ballet but dreaded competitions. She had invested a lot of time and effort into learning and rehearsing her dances but the build up to competing caused her stress. As a parent moving in unfamiliar dance circles I felt that it was the norm to be competing. However as she has moved to the older age groups the other competitors were performing more advanced and complex routines than she was, causing more anxiety towards competitions. Over time we reduced the number of competitions and last month we made the decision to stop. The relief for my daughter was enormous. She is now so much happier and her love for dancing and weekends has now returned. 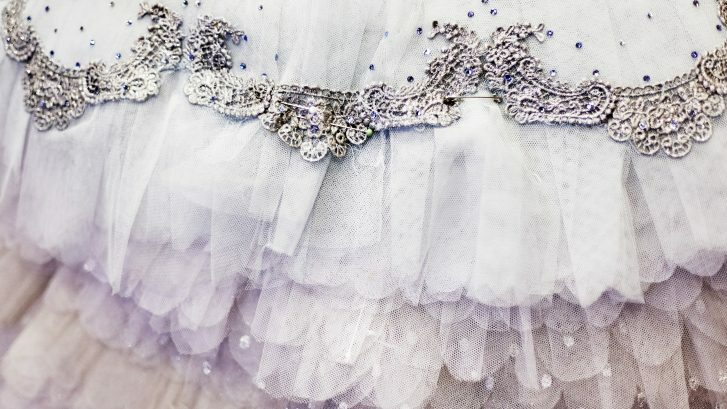 As a ‘dance mum’ I have concerned myself as to whether more dancing, training and exposure is necessary to succeed in a ballet career, as her peers seem to doing so much more than she does. Thank you for this article. It has made me, as a parent, feel relief that I have made decisions that will not have a detrimental affect on the possibility of her being a ballet dancer. I completely agree with the principle behind this article; that those students who are not physically ready to push forward with pointe or pas de deux work should not be made to do so. However, I feel there needs to be more consideration and discussion regarding the definition of maturation and the use of appropriate skills and techniques. Using a certain age as a basis to begin certain skills does not take into consideration an individuals’ maturity/physical development status. You mention 10-11 as an age to begin pointe work; but what if the individual is not ready until they are 13? Or perhaps they have the prerequisite strength at 8? Further research into this would be beneficial in order to further understand the perceived/required criteria required to begin skills and to safeguard the students health long term. It may be useful to use the link between St Mary’s University and the Royal Ballet School Healthcare team as this should help find more answers. Thank you Mr Powney for sharing this valuable perspective which deserves to be as impactful as it is wise. Your students are very lucky indeed to be under your stewardship! Great article! When I returned to ballet after a break, trying to find a studio for my own children, I couldn’t believe what I’d returned to. Competitive studios are the norm now and it’s nearly impossible to find studios that just focus on exams, and also on fun. Dance should be fun. Dance also should be an art. That’s another problem the competitive world has created–they have erased the artistic component of dance. How can art ever truly be evaluated and recognized with trophies? It goes against the nature of creative expression. But what was most disturbing is what I might dare say is an element of child abuse–children should not be at studios all night long–eating their dinners there, not getting to bed, not doing their homework. These are children! There should still be time each evening for a dinner around the family table, for riding their bikes, for getting fresh air. All these things ultimately will strengthen them one day if they want a professional career in dance. Please keep speaking out! I absolutely agree with you! I need to realize my children’s life again!!! But in the eyes of a 16 year old how else does she get recognised if the dream.is to get into a company. It is a challenge and if Dance is to survive we need to address this.. Thank you ! Whole heartedly agree !